I hope you enjoyed the new release last Friday and are as excited about these new stamps as I am. I can't seem to get enough of the Floral Framed set. And since all these great new stamps are on sale only until February 8th, you better hurry and get your orders in so you can save 15%! There is no need for a special code, the sale price will automatically be entered at checkout. If you like to color, this is a very therapeutic stamp! 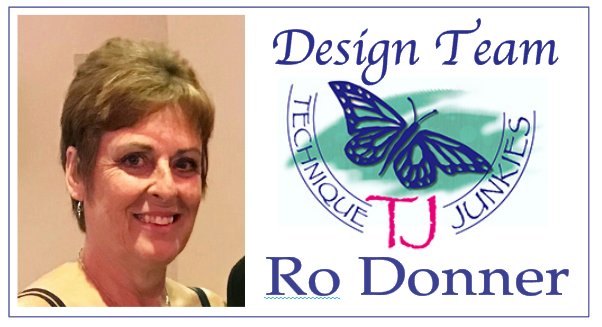 There are two floral borders which can be used in a multitude of ways. And the set comes with four different sentiments! 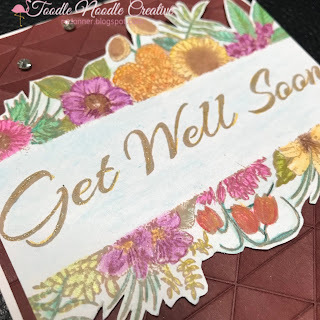 I stamped the Floral Framed Sentiments (SS101) using Memento Ink (Peanut Brittle). I then colored the image with colored pencils and gamsol, and added a little twinkle to the sentiment with a gold gel pen. The image was then cut and trimmed to fit on a vertical A2 card. 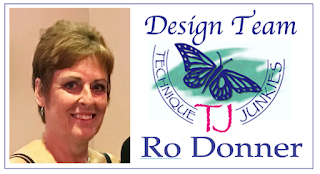 The panel behind was created with a We R Memory Keepers 3D embossing folder (Geometric). 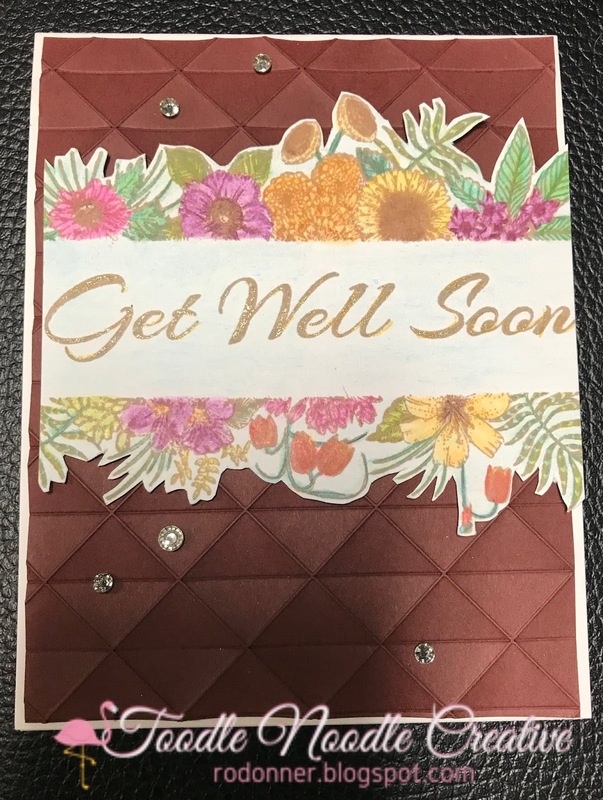 The pieces were attached to the A2 card base, and a few gems from Little Things by Lucy's Cards were added. I love this gentle floral for a get well card. If you like this set, too, remember that you can save 15% only until February 8th. 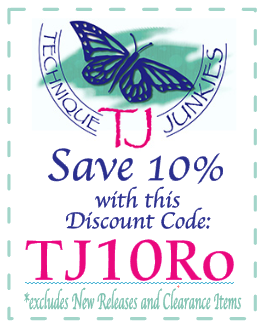 And if you have a wish list of other stamps on the Technique Junkies site, you can save 10% by using the code below.